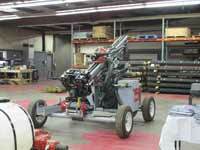 FNSS designs, develops, produces and supports tailored, reliable and cost-effective land combat system solutions. 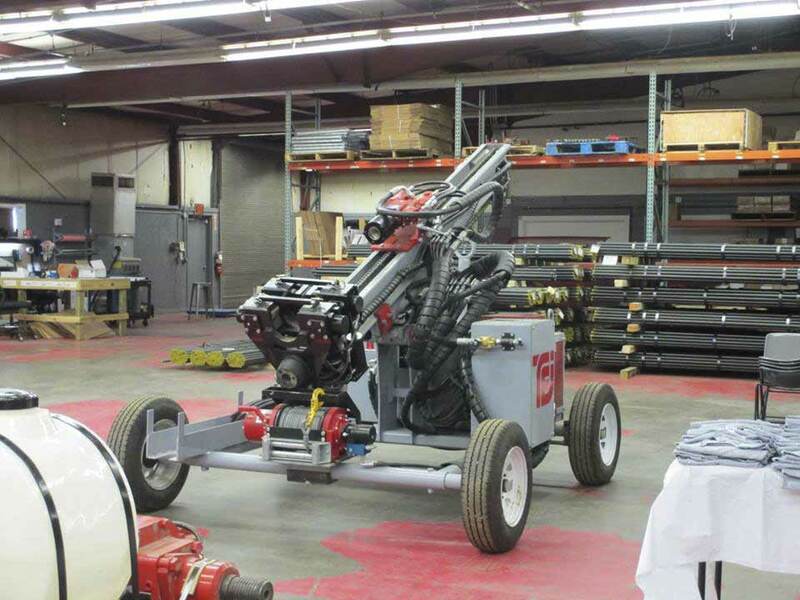 Number one supplier of land combat system solutions for the Turkish Armed Forces and preferred local supplier around the world. PARS is the new generation of wheeled armored combat vehicle (WACV) designed and developed by FNSS Savunma Sistemleri A.Ş. 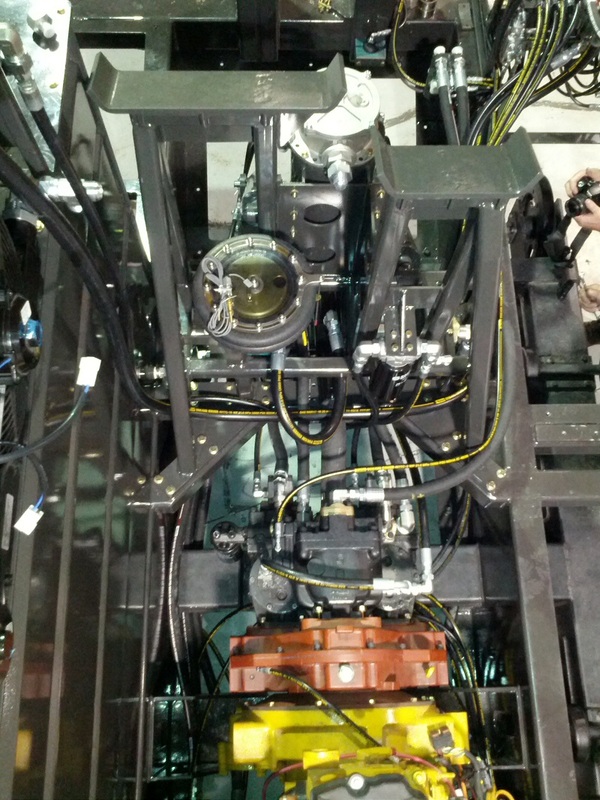 PARS has been developed with a special emphasis on mobility, protection, payload, and growth potential. 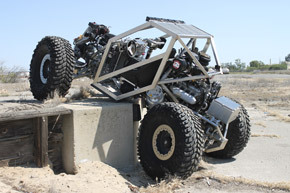 The vehicles employ the latest designs and technologies with special emphasis on the performance and durability of modern military operational requirements. 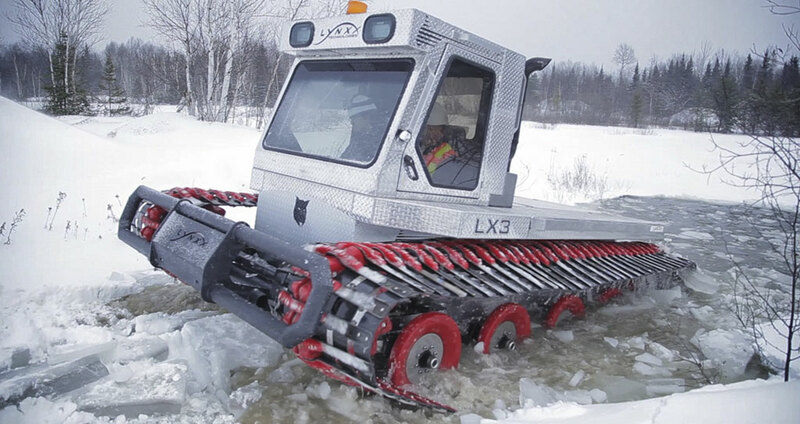 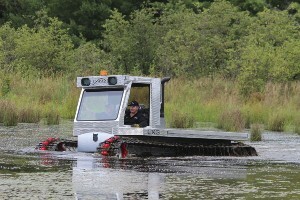 The vehicles are available in 6x6 and 8x8 configurations. 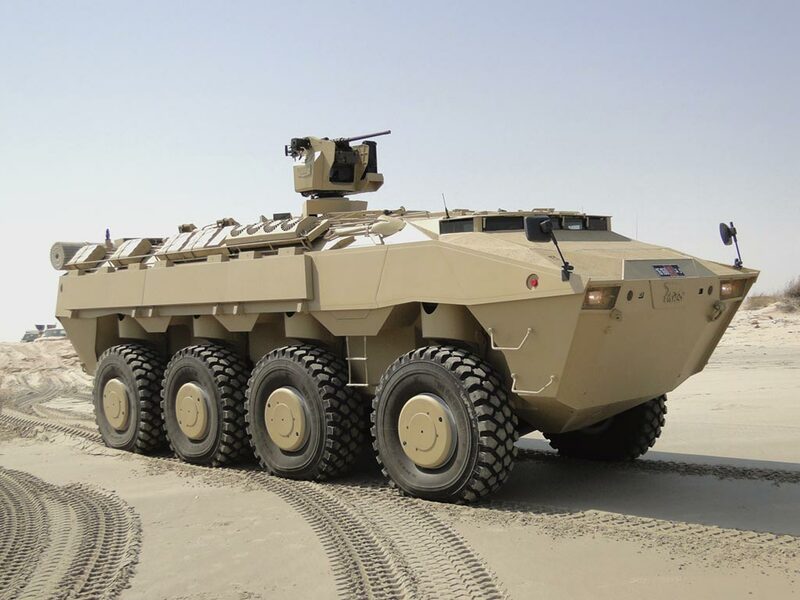 FNSS has named the vehicles as PARS which in Turkish means “Anatolian Leopard”. 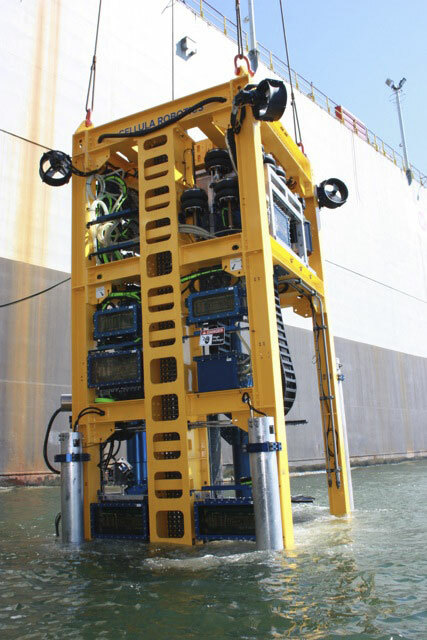 Cellula Robotics is a world leading engineering solutions company that specializes in the turnkey design and production of seafloor intervention and subsea robotic systems. 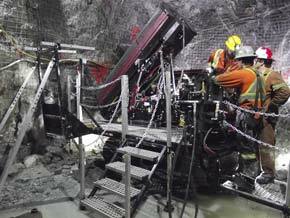 Cellula’s products are primarily used for geotechnical and geophysical applications around the world. 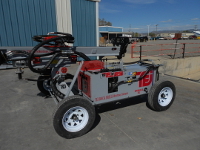 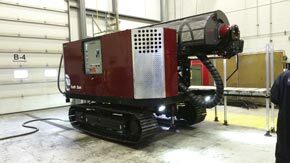 The CRD100 is a state of the art, fourth generation seafloor drill capable of providing a complete suit e of accurate, and reliable geotechnical services. 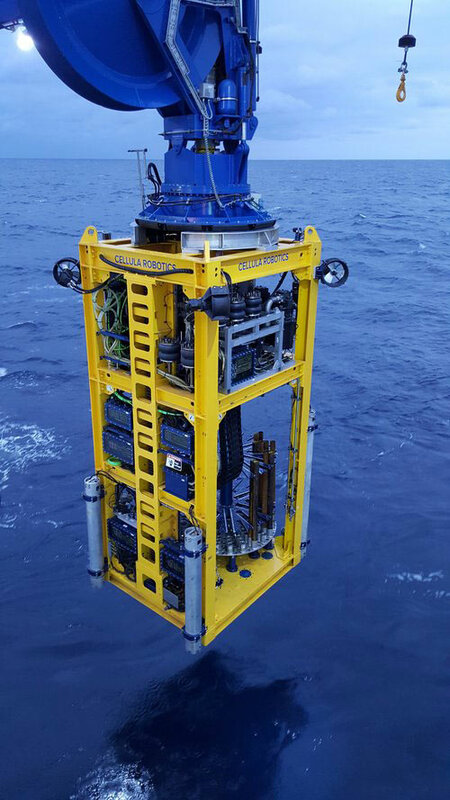 An integrated hydraulic power unit, thrusters, telemetry and control system enables the CRD100 to operate without any subsea support in water depths down to 3000m. Our client builds high speed boats as well as ride control systems for high speed boats. 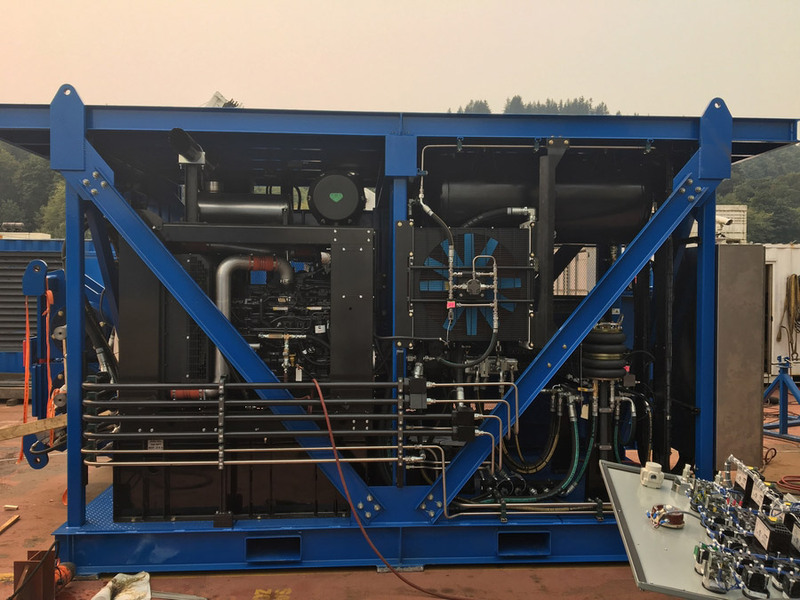 They needed a compact and efficient reservoir that would also be immune to contamination from the marine environment of sea water and salty humid air, which is a toxic combination for hydraulic systems. 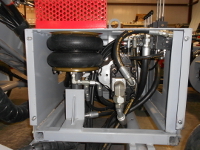 The air-tight and sealed VVR keeps all elements outside the oil unlike a traditional reservoir. 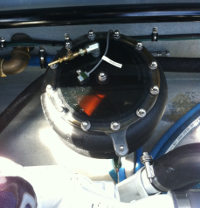 In addition, as the boat needed to perform in all weather conditions, the slightly pressurized VVR was perfect for high speeds and choppy water as the pump is constantly fed with oil. 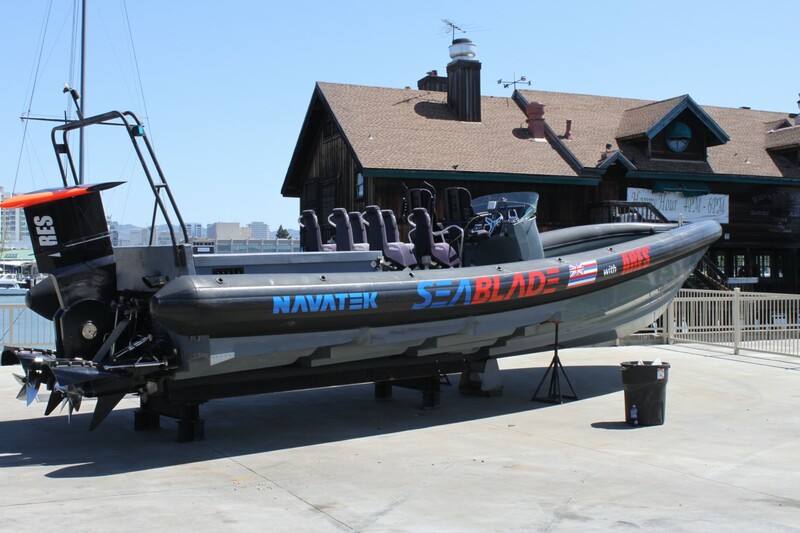 Finally, in a boat, less weight equals more speed and the VVR allowed Navatek to save 70 pounds versus a traditional reservoir. Versadrill, a repeat client since 2008, is a manufacturer of prospection drill rigs for the mining industry. 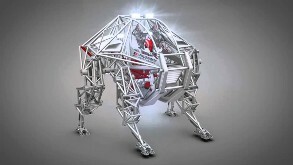 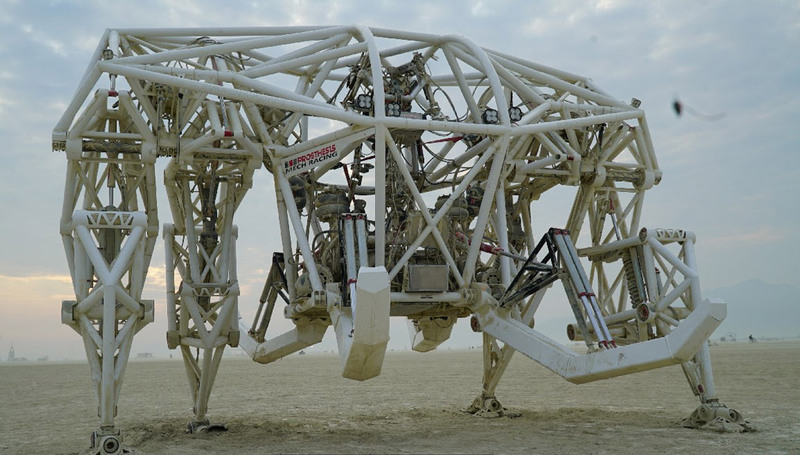 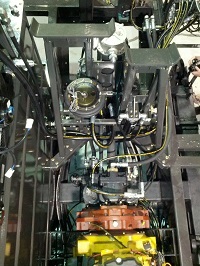 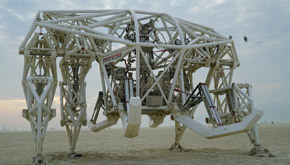 These rigs are used to extract deep underground samples. 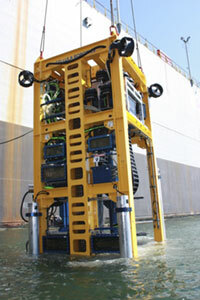 These drill rigs are designed to operate in any climate, anywhere in the world. 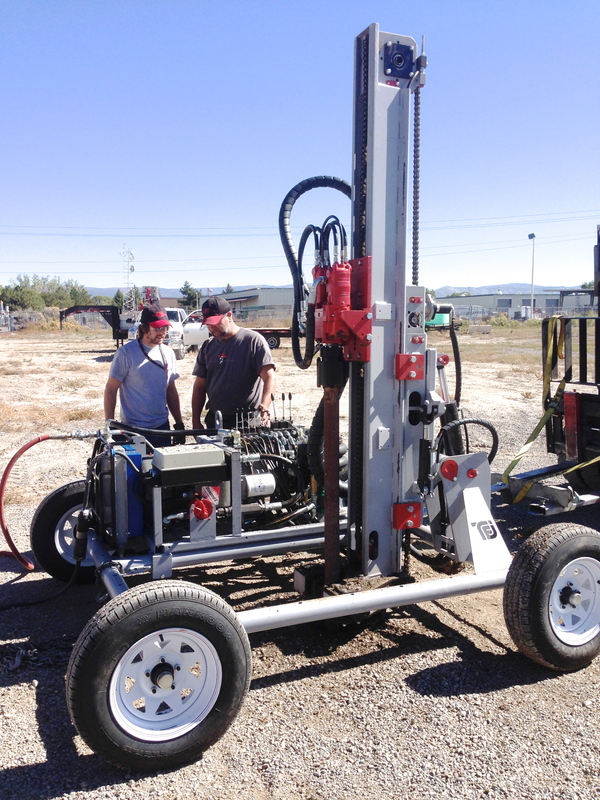 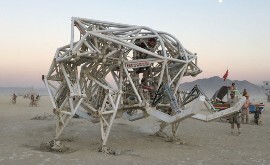 The objective was to reduce weight and space on a small portable drill rig. 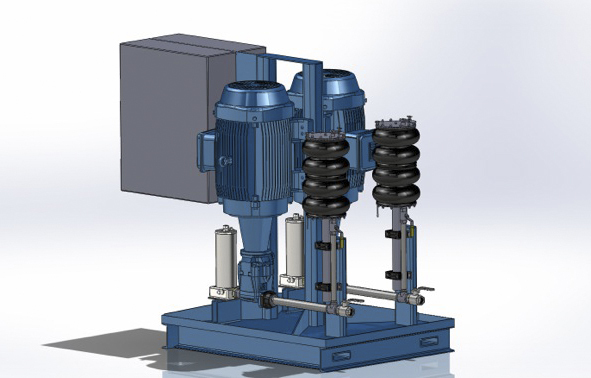 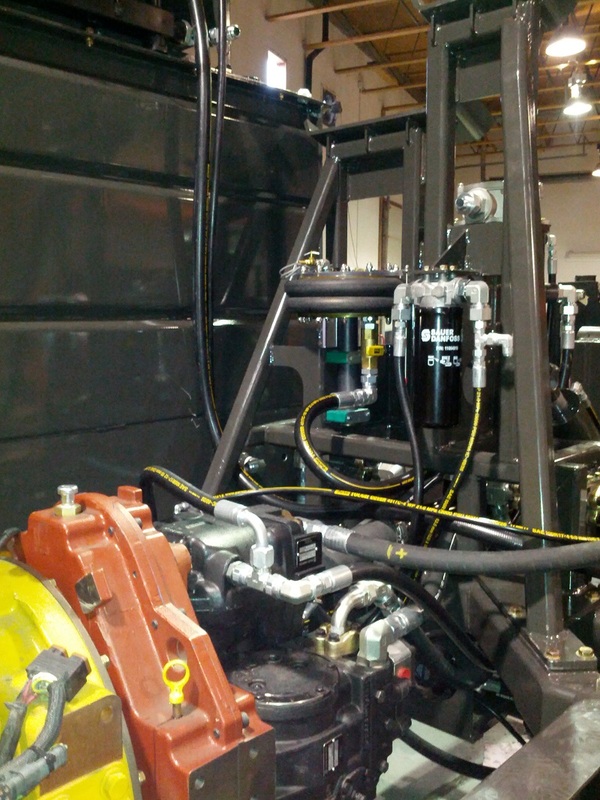 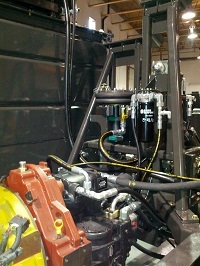 The previous conventional hydraulic reservoir was the main source of extra weight and space. 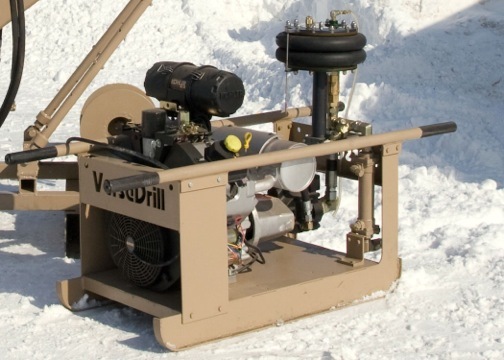 VersaDrill replaced the conventional reservoir by a VVR and reduced oil volume by 213 liters (from 55 gal to 1.8) and weight by 560 pounds. 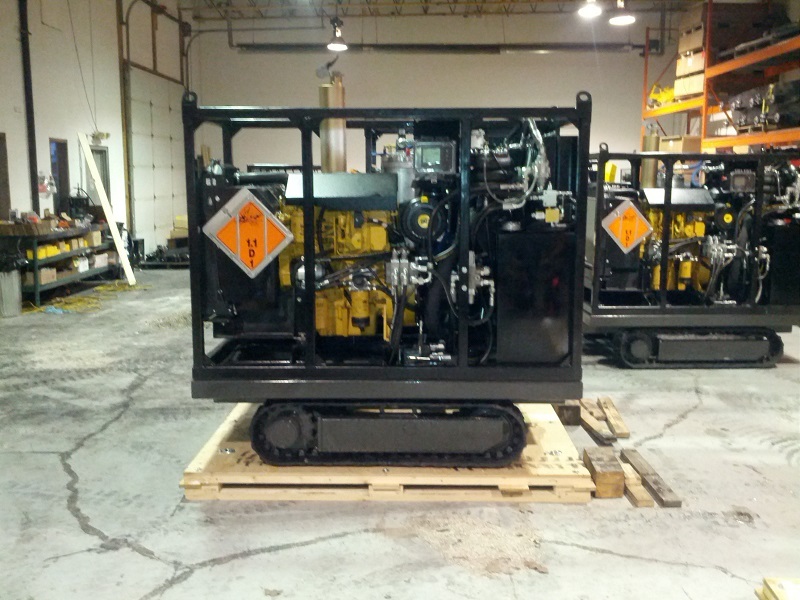 Weather, ground conditions or moving equipment availability are not factors anymore. 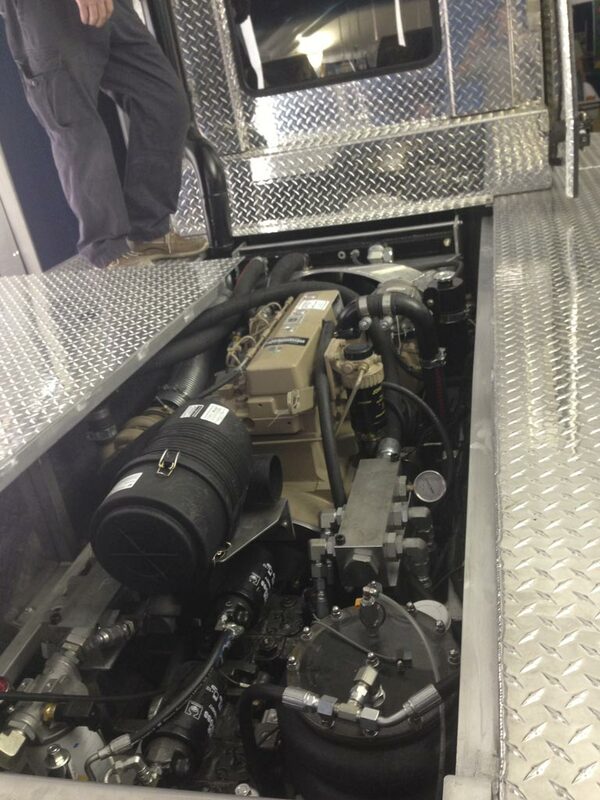 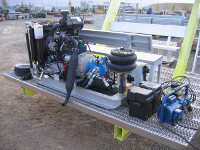 With the lightweight VVR equipped rig, air-lifting the system can now be done in a single load. 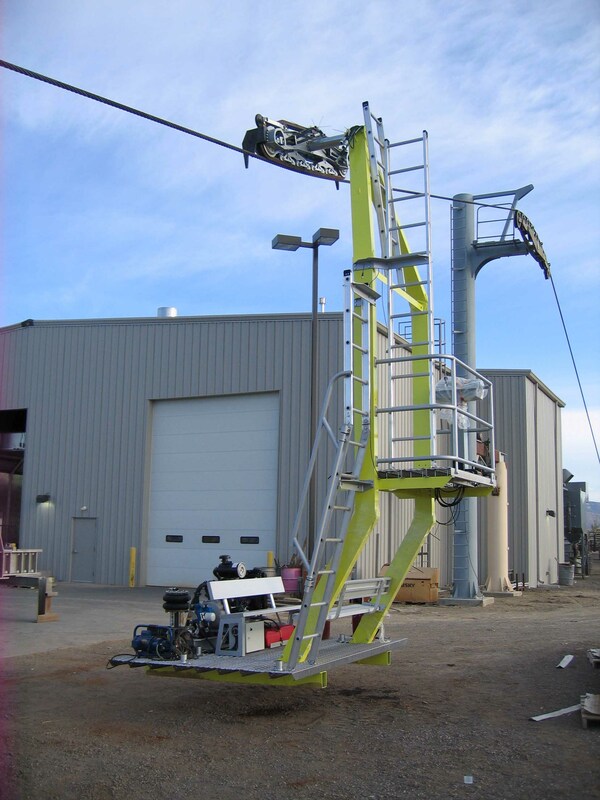 At $2,500/hr for the helicopter service, the VVR paid itself back on the first helicopter lift return trip. 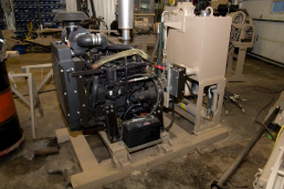 In addition, in the event of an oil spill, 7 liters (1.8 gal) of mineral oil could be dispersed instead of up to 220 liters (55 gal). 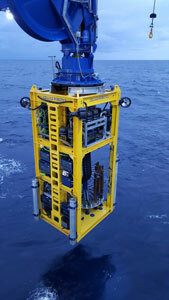 Keep in mind that exploration is always performed in remote areas where cleaning would be extremely complex and costly. 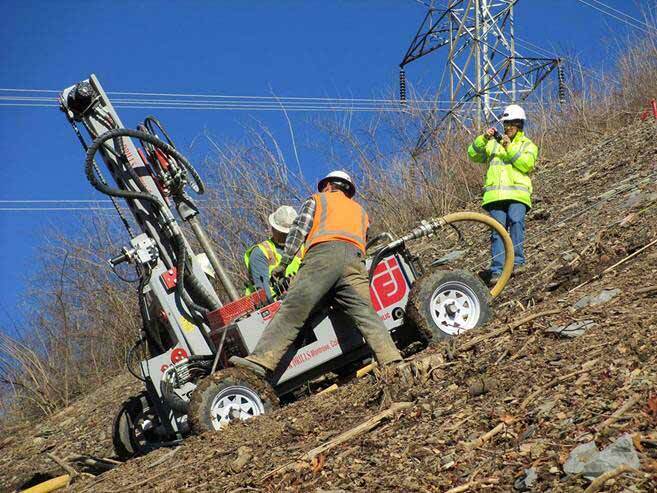 TEI purchased the VVR-400 to solve issues with their Slope Drill prototype which is designed to be a self-contained drilling rig (Power unit, feed mast and drill) that would be lowered onto steep slopes and even under-cuts for slope stabilization. 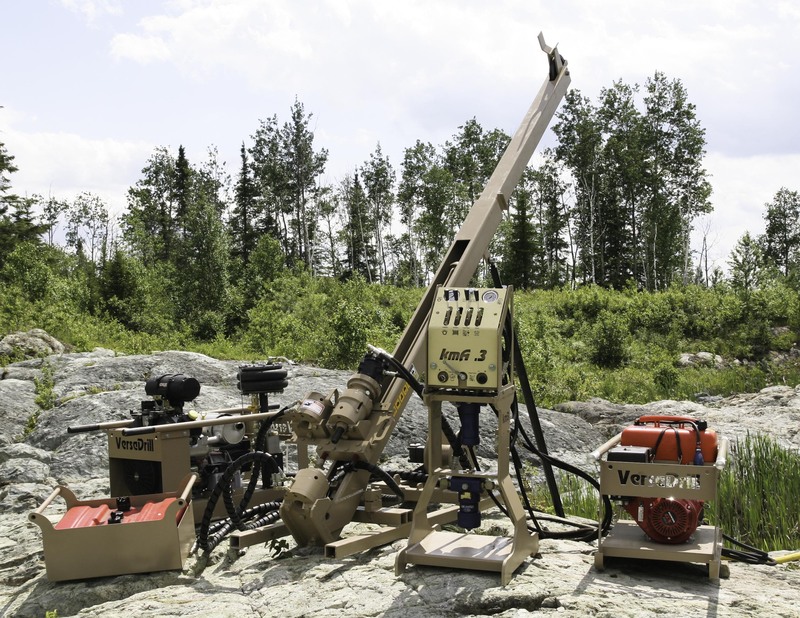 The VVR was chosen due to its compact size, low weight and ability to supply the hydraulic pump at extreme angles. 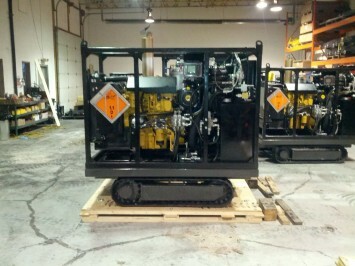 The power unit needed to be small to allow for maximum use of space for drilling. Low weight was required to reduce the stress on all components when the unit is deployed down a steep slope. 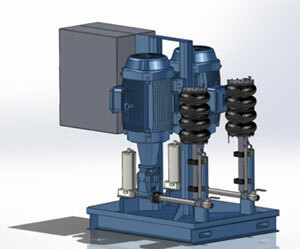 Due to the nature of a standard reservoir, at certain angles the inlet to the pump may become uncovered leading to starving of the pump, this issue is solved by the constant pressure provided by the VVR. "The VVR allowed a reduction in reservoir size of approximately 2000% from their standard reservoirs of 40 gal. 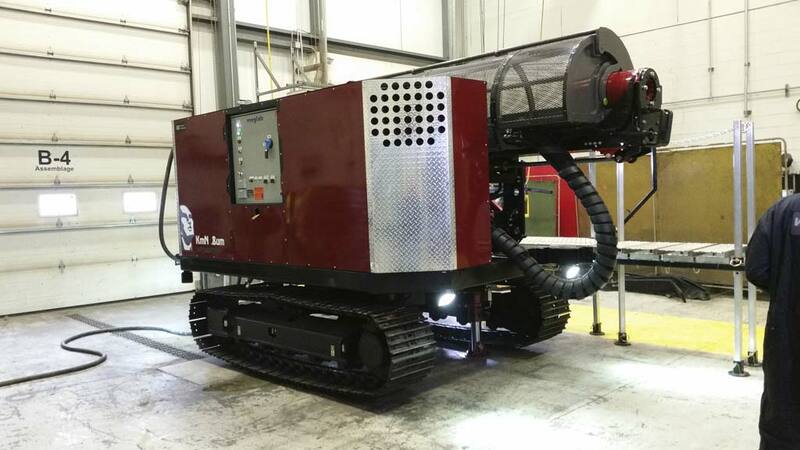 Overall the operation of the unit was extremely smooth and the VVR significantly reduced the size and weight of the power unit for our Slope Drill. 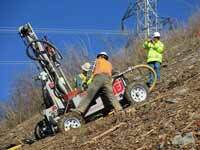 Once complete the Slope Drill was tested with a RDS350 Rotatory Drill and a down-hole-hammer. The unit operated smoothly and without starving the pump. 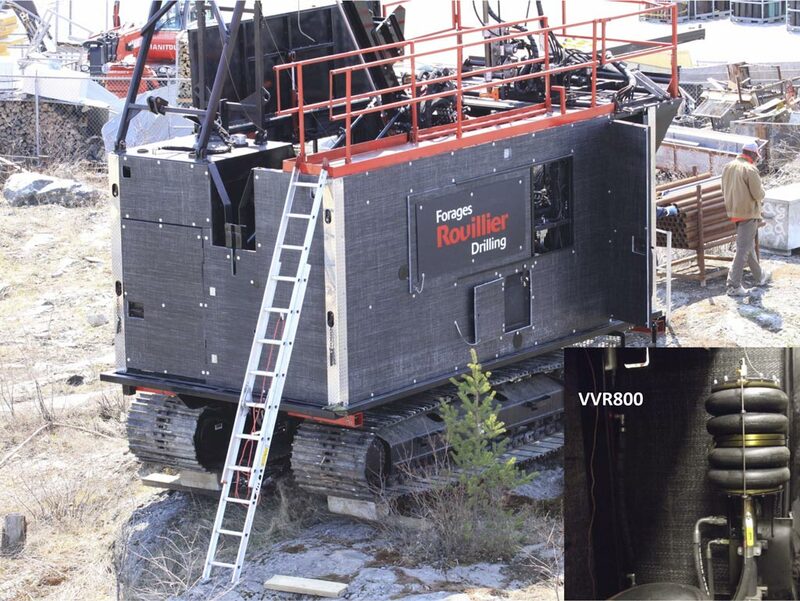 Although there was some thermal expansion noted in the VVR the Emmegi hydraulic cooling unit installed on the machine kept the temperature low even in mid-day heat." 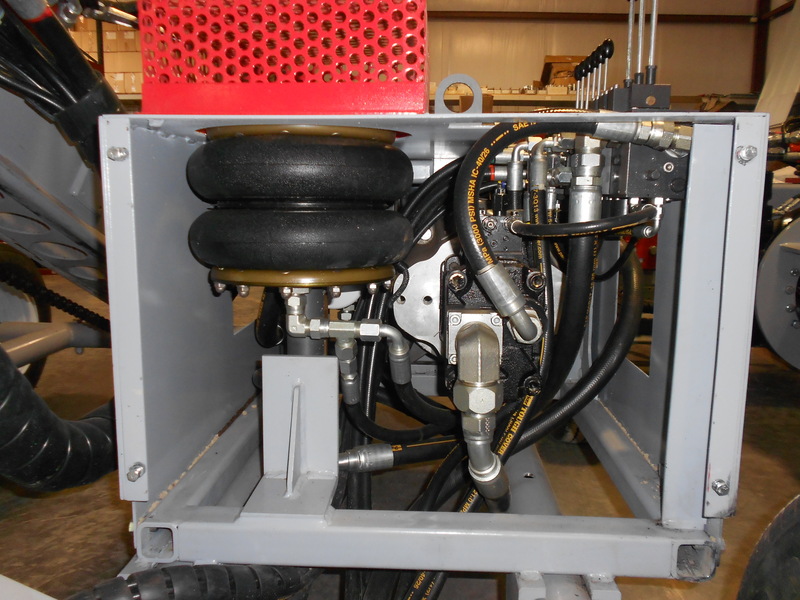 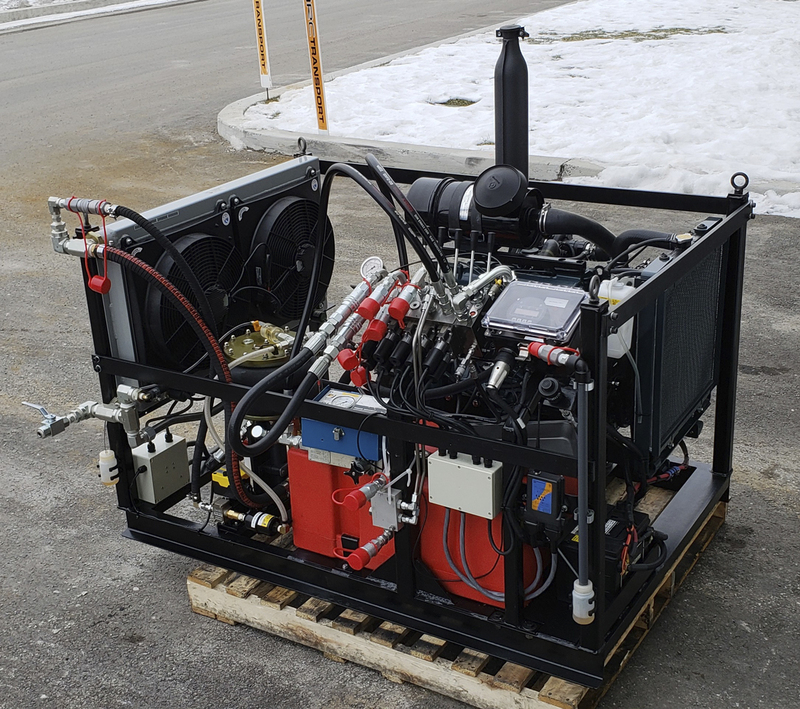 This is the tracked Hydraulic Power Pack for a drill made by Absolute North Drilling Solution from British Columbia, Canada. 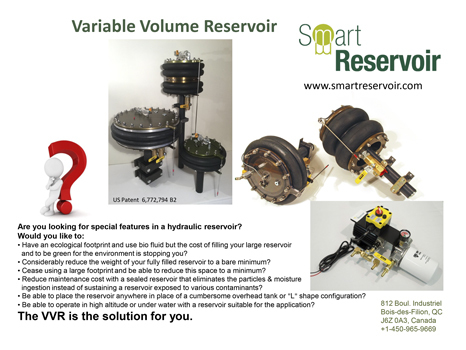 The 1.8 gal (7L) VVR is used is to replace a reservoir that would have been close to 100 gal. 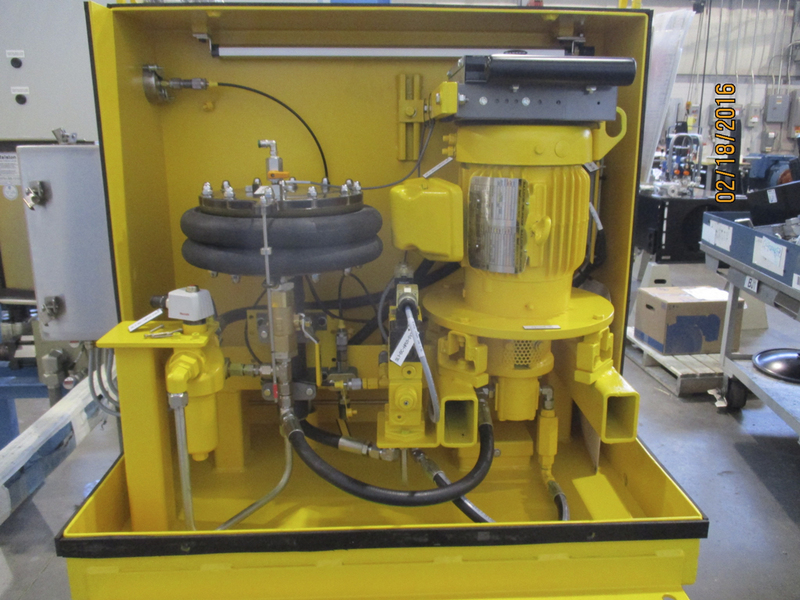 The drill uses five hydraulic pumps (cylinders, mud pump, rotary head and 2 for the tracks) with a combined flow of 100 gpm (400lpm). 12 drills have been built since 2012 and they are currently used in Central America where the light-weight, compact design and pressurized reservoir are solid benefits to the owner. 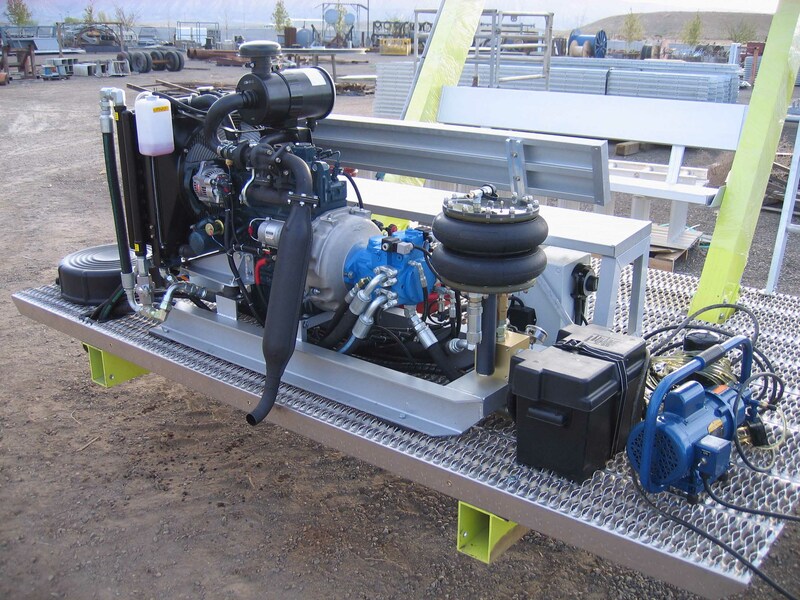 The Lynxx III is a sophisticated mobile hydraulic platform with enormous versitility. 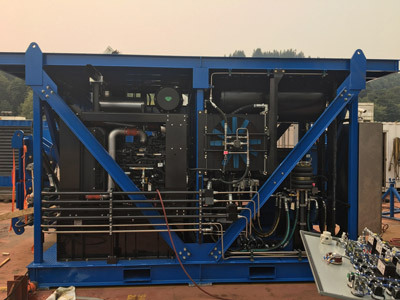 The vehicle is targeted for application in exploratory drilling environments where, we believe, it has the potential to virtually eliminate the routine and expensive use of helicopters. The Lynxx III was first designed with a reservoir of 200-liter (50 gal) but was then replaced with a 7-liter VVR (1.8 gal) which allowed a significant saving of about 400 pounds, a simpler design and longer lasting hydraulics. 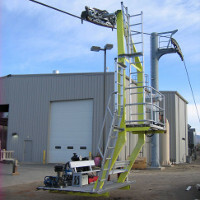 The VVR is use on the « Pomabus », a self-propelled aerial ropeway evacuation vehicle. The VVR-400 is compact, light weight and reduced the on-board oil volume saving substantial additional weight as well as the potential for a large oil spill"
See application examples in document below.